The long-deserted Harvard Square Theater, which billionaire developer Gerald L. Chan bought in 2015. 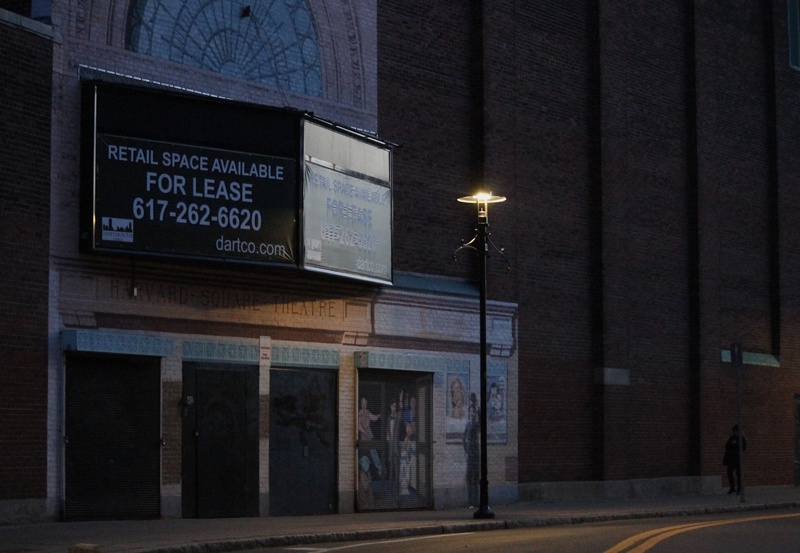 The Cambridge City Council passed an order urging billionaire developer Gerald L. Chan to publicly release a schedule for the development of the long-deserted Harvard Square Theater at a Council meeting Monday. Vice Mayor Jan Devereux and Cambridge City Councillor Dennis J. Carlone sponsored the legislation. The order is largely symbolic and has no power to force Chan’s hand. 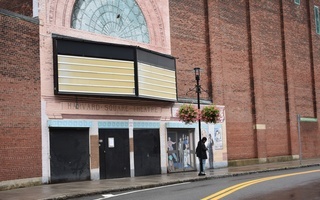 “The City Manager is requested to notify the owners of the former Harvard Square Theater that the City Council has requested that they provide a firm schedule,” the order reads in part. Chan, who co-founded and currently heads the Morningside Group investment firm, is a billionaire developer and longtime Harvard donor who has, in recent years, snapped up Square real estate. He bought the Harvard Square Theater building—located at 10 Church Street—in 2015. In February 2017, after the building had sat vacant for five years, the City Council gave Chan 30 days to submit plans for the property. The following May, he announced the building would become a new shopping center, with stores at street level and two movie theaters beneath. A representative from the Morningside Group could not be reached for comment Tuesday. Several City Council members said they want to see a schedule for the completion of this plan. “The issue is the timing. I have no objection whatsoever to what is proposed to replace the current theater,” Devereux said in an interview. 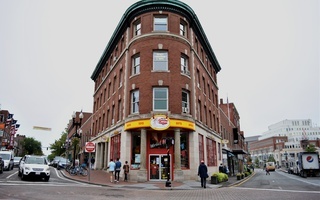 Denise A. Jillson, Executive Director of the Harvard Square Business Association, said the shuttered building on Church Street is beginning to harm local businesses. “It should come as no surprise to anybody...that there will be an adverse economic impact on other retailers in the area when you have such a large piece of property dark,” she said. Carlone also said he is worried about the impact of the empty building on the Square, because the theater was once an “active participant” in Cambridge life. Despite their concerns, Carlone, Devereux, and Jillson all praised Chan and his past work. “The city really respects the work that Mr. Chan and his team do with the properties that he has,” Jillson said. She pointed out the “wonderful” things that they have done in the Square, with new businesses in his properties ranging from the restaurant Parsnip to Capital One on JFK Street. Jillson also provided a rationale for the development’s delay. 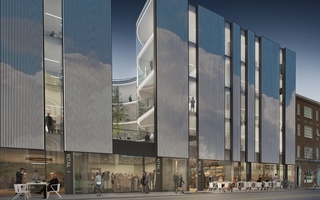 She explained that the 10 Church St. building poses a particular challenge because it is connected with another property, 1430 Massachusetts Avenue. Design plans for the theater must address accessibility for the owners of the other property. Devereux agreed that the site poses construction problems, but she said she still believes a resolution must be reached soon. Carlone, who was a graduate student at Harvard in the ’70s, said he has memories of an older Harvard Square that he would like to see return. 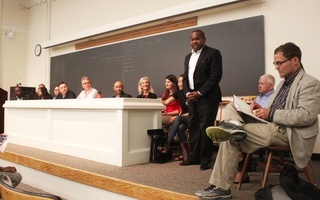 A roundtable discussion at Cambridge City Hall turned tense at times as attendees discussed recent developments in Harvard Square with representatives from Harvard and other major property owners like Equity One and Gerald L. Chan.